Includes everything you need for one low price. 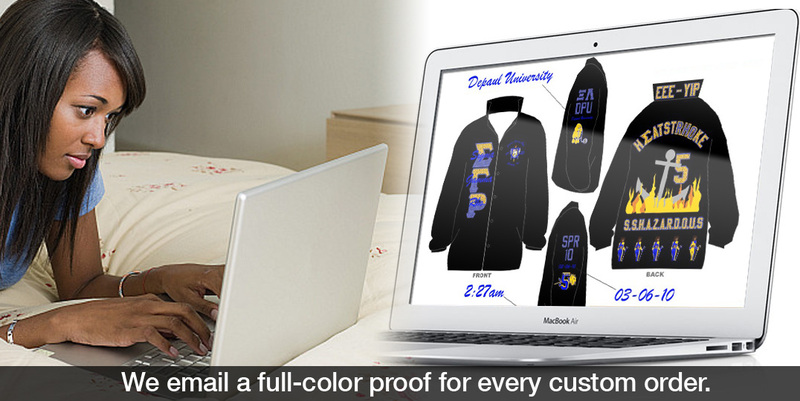 This package includes up to 3 monograms. If you request more than 3, you will later be billed $10 for each monogram beyond 3. Custom line jackets, also called crossing jackets, are our signature item. The Deluxe Crossing Jacket includes everything to make your jacket complete ... and then some... icons along the bottom of your jacket, text on the collar, and more monograms. Includes artwork from our design library.